Kincardine O' Neil (once on a key river crossing) has offered hospitality to travellers since early times and its ruined medieval church stands at the heart of the village. It has a post office/general store, other interesting small shops. Banchory (8 miles to the east) and Aboyne (4 miles to the west) both offer larger shops and good eating places. There is a great variety of things to do, including interesting walks from the doorstep and further afield, exploring the Deeside hills (which include the two most easterly Munros: Lochnagar and Mount Keen), cycling, fishing, golf, horse-riding and ponytrekking and even gliding. In winter, skiing is about an hour away at the Lecht or Glenshee Ski Centres. The area has many historical attractions: stone circles and other prehistoric sites, numerous superb castles featured on the Aberdeenshire Castle Trail, many with lovely gardens, and the Victorian Heritage Trail, celebrating the Royal Family's association with Deeside since the mid-19th century. The Dee valley is one of Scotland's most beautiful landscapes, combining river, hill and forest scenery. Up-river from Kincardine O'Neil lie Aboyne and, in the Cairngorms National Park, the village of Ballater, Crathie, the royal estate of Balmoral (open for visits from April to July) and Braemar, famous for its annual Highland Gathering in early September. A day trip by car will take you north through beautiful rural landscapes to the Moray Firth coast; northwest to scenic Speyside and Aviemore; south over the hills of the Mounth to the Howe of the Mearns (celebrated in the novels of Lewis Grassic Gibbon) and the rich farmlands of Angus; or south-east to the seaside town of Stonehaven and the picturesque fishing villages of the North Sea coast. Whether it's gentle relaxation you're after, hills and outdoor activity, castles and gardens, or just magnificent and varied scenery - you'll find them all here on your doorstep. 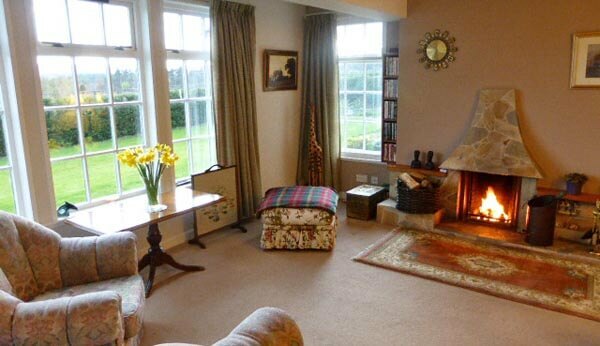 The house has a sunny, south-facing living room with an open fire, perfect for winding down at the end of the day. The separate dining room has ample space around the table. 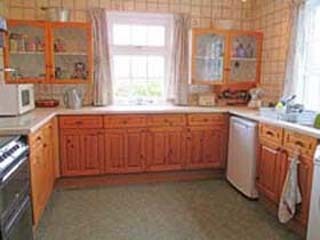 The kitchen is well equipped with a cooker, microwave oven, washing machine, fridge and freezer. 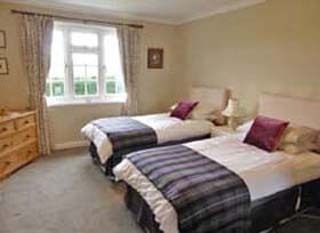 Sleeping accommodation is in three bedrooms; one double, one twin which benefits from an ensuite shower room and a further bedroom with a single bed. A fold down bed in the study can accommodate an extra person. 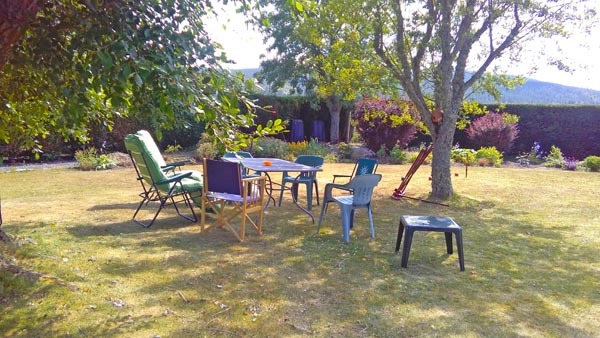 Outside there is a secluded, south-facing garden with patio, table and chairs - perfect for enjoying al fresco dining. Pitmurchie Road runs north from the main North Deeside road (A93) at the western end of Kincardine O'Neil (turning roughly opposite the garage). Birchwood is 0.2 miles from the turning - second house on the left after the stone wall where the Deeside Way forks left from the tarmac road. Reasonable consumption of logs and coal for fire and oil for central heating. Books, DVDs, games and puzzles. Change over day is Saturday (or Sunday by special arrangement). Check in 16:00, check out 11:00. 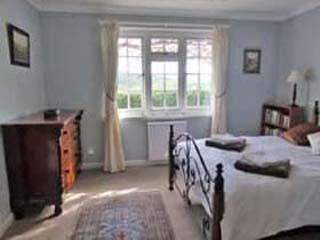 To book this spacious self-catering accommodation with fine views towards the Deeside hills, click the enquiry button below and see availability and rental rates. This modern house has every comfort including a log fire. 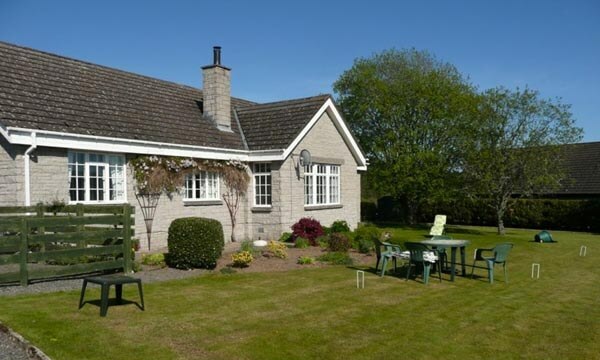 Ideally located to explore Royal Deeside, this is a very well appointed self-catering house right on the Deeside Way so great for a walking holiday - the Castle Trail is nearby too as are many other attractions.